It’s been twenty years since Renault released the first Scénic. Since then, total sales approach the five million mark, across three successive generations of Scénic. 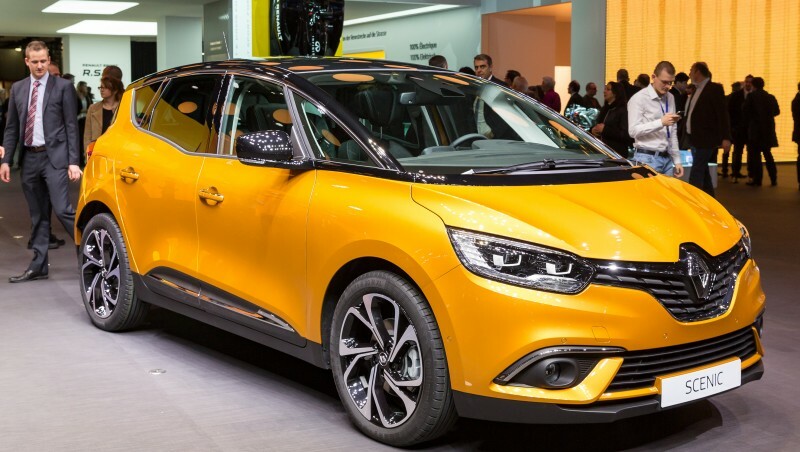 Renault is unveiling the fourth-generation Scénic on 1 March 2016 at the Geneva Motor Show. 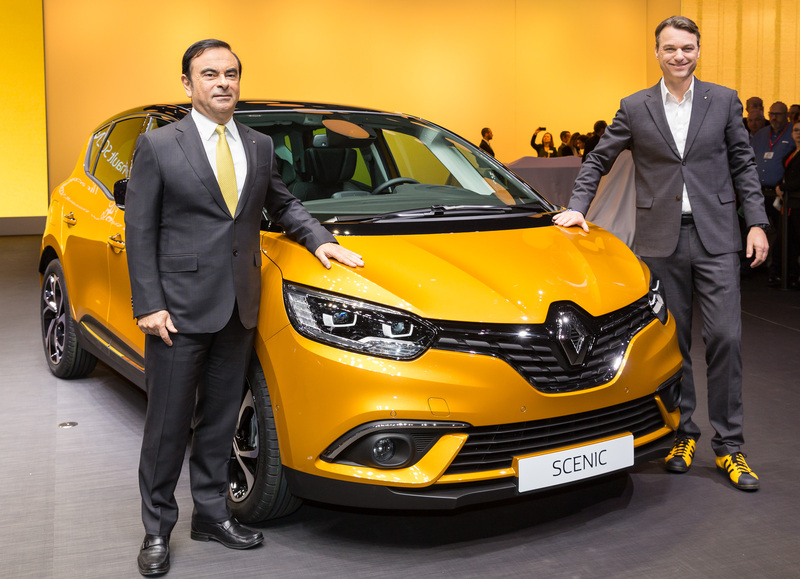 New Scénic draws inspiration from the visionary R-Space concept car to reinvent the compact MPV format. Carlos Ghosn, Renault's CEO and Laurens van Den Acker, have unveiled today the new vehicule in front of the journalists. New Scénic brings a radical change to the usual MPV proportions. It stands high on its large 20” wheels (as standard), the wheelbase is longer, and the bonnet is shorter, to produce a sleeker, more energetic outline. 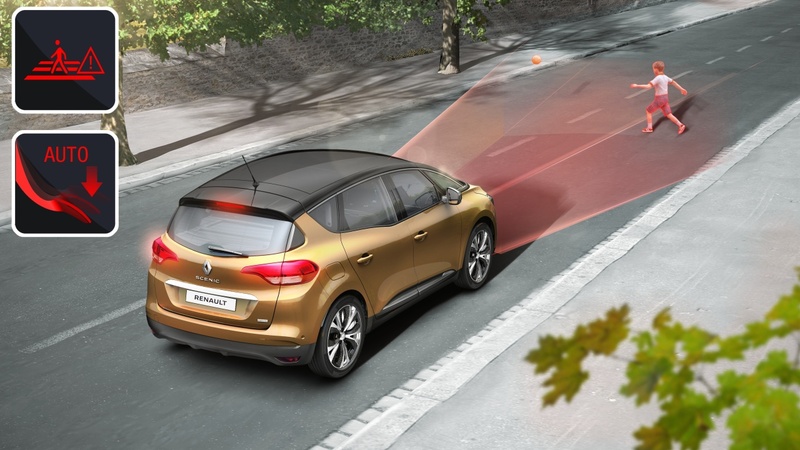 Another major new feature is the three-part panoramic windscreen, carried over from New Espace, which gives improved lateral vision. Stunning looks start with the distinctive front light signature, C-shaped headlamps and rear lights featuring Edge Light technology for a unique 3D effect. We wanted the new Scénic to break new ground. It is a sexier and more modern take on the MPV, which carries over the outstanding modularity that has been paramount to the success of the model’s three previous generations over the past 20 years. Its proportions and large-diameter wheels draw inspiration from the R-Space concept car. Laurens van den Acker – senior vice-president, design. 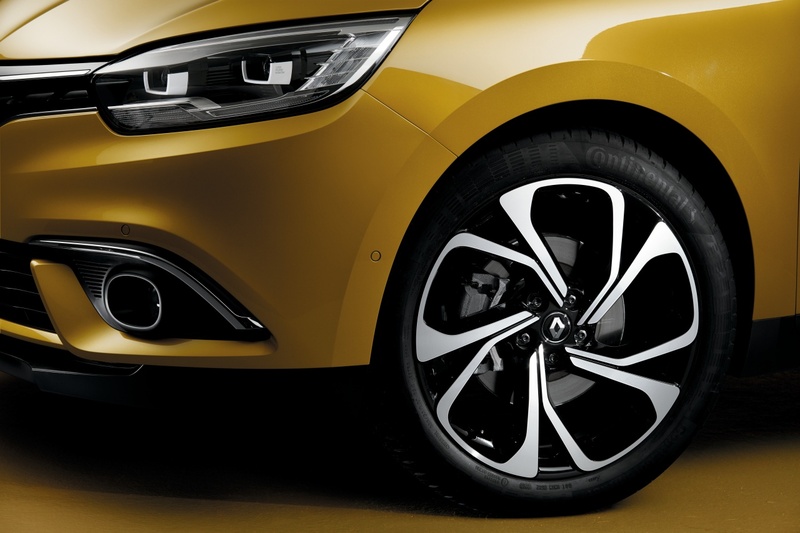 True to its illustrious heritage, New Scénic meets the most demanding requirements of Renault’s family customers. 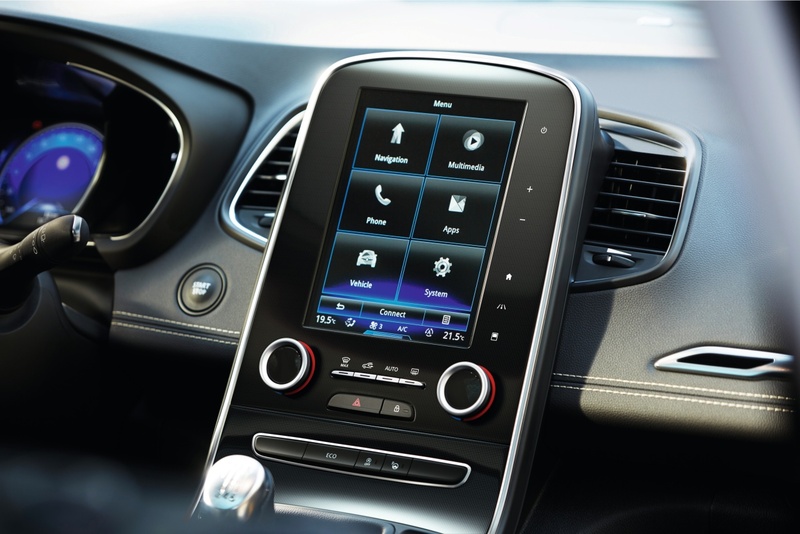 The interior is spacious, comfortable and effortlessly configurable. The central console slides between a forward position for a classic cockpit feel, and a rear position more conducive to driver/passenger interaction. With the One-Touch Folding system, the rear seats fold down flat in an instant. And the optional fixed panoramic glass sunroof, unobstructed by a central bar, makes for an exceptionally bright interior. New Scénic boasts a full panoply of advanced driver assistance systems. It’s the only car in its category fitted as standard with an Active Emergency Braking System (AEBS) with pedestrian detection. This monitors the vehicle environment, alerts the driver on collision risks and triggers the brakes automatically if necessary. Other features making an exclusive appearance on New Scénic are the lane keeping and fatigue detection systems. New Scénic also comes with Multi-Sense and R-Link 2. The Hybrid Assist electric diesel option available on New Scénic powered by the Energy dCi 110 diesel engine with six-speed manual gearbox brings fuel consumption down while notching up driving pleasure even higher. A long version of New Scénic will be revealed before the summer. New Scénic and New Scénic Long will be in the European showrooms by the end of the year.